With only 4 weeks left in the regular season, every week is important, but none will matter more than week 14 for the Oakland Raiders, the Kansas City Chiefs and the AFC West. A loss for the Raiders will tie-up first place with the Chiefs, who are one game behind the division leaders, and may ultimately decide who will win the AFC West. The Raiders lost to the Chiefs in week 6, 10-26. The Chiefs win against the Atlanta Falcons in week 12 (29-28) was spectacular to say the least, while the Raiders lost to the Falcons in week 2 (28-35). Each game was decided by just one score. The Raiders are on a 6-game win streak. The Raiders are undefeated on the road. The Raiders offensive line has allowed only 12 sacks this season. Offensively, the Raiders have the 4th most passing yards per game (277.1), 7th most rushing yards per game (114.6), and the 3rd most points scored per game (28.8) having totaled 24 passing touchdowns and 14 rushing touchdowns. 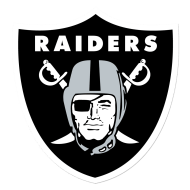 Defensively, the Raiders are 24th against the pass, allowing 264.8 pass yards per game, and 29th against the run, allowing 124.8 rush yards per game, with only 21 total sacks (27th in the league), 11 total interceptions (9th in the league) and 1 defensive touchdown. The Week 13 win against the Buffalo Bills was the 6th fourth-quarter win for the Raiders this season. Khalil Mack has been one of the strongest defensive players for the Raiders with 10 sacks, an interception and 4 forced fumbles. The Chiefs have home field advantage. And, its cold in Kansas City. Chiefs wide receiver, Jeremy Maclin, practiced in full and will play in Thursday’s game against the Raiders. Alex Smith has a 8-1 record against the Oakland Raiders. The Chiefs convert 34.6% of third downs. 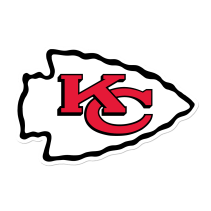 The Chiefs defense is 22nd against the pass, 263 yards per game, 27th against the run, 121.9 yards per game, and have allowed an average of 20.2 points per game. They’ve totaled 26 sacks (14th in the league), 14 interceptions (3rd most in the league), and 5 defensive touchdowns. Two words, one name…Eric Berry. The defensive end was the reason for the Chiefs win against the Falcons in week 13 with a field length interception return of a two-point conversion. Berry has totaled 3-interceptions this season. If that’s not enough for the Chiefs defense, defensive end, Marcus Peters, has the second most interceptions in the league (5). The Denver Broncos have had a hard time this season with losses to each of their AFC West division rivals (Kansas City Chiefs, Oakland Raiders and San Diego Chargers), in addition to the Atlanta Falcons. The Broncos are currently in 3rd place in the division, but are likely to make the postseason if they win their next four games. The Tennessee Titans are 6-6 for the season, but tied for 1st place in the AFC South. This means winning the next three games will decide whether the Titans can takeover 1st place. 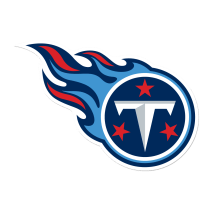 In the last eight games, Titans quarterback, Marcus Mariota, has thrown for 2,073 yards, 21-touchdowns and 3-interceptions with a passer rating of 120.6. He’s also had 2 rushing touchdowns. Can the Tennessee Titans defeat the Denver Broncos? The Titans have home field advantage, but are only 3-3 at home. The Titans are coming off a bye-week. The Titans run game is really clicking. Running back, DeMarco Murray, has totaled 1043 rushing yards this season, only second to Dallas Cowboys rookie running back, Ezekiel Elliot (1285). The Denver Broncos defense might have the best pass defense, allowing 192.7 yards per game, but the Titans should be able to take advantage of the Broncos 28th defense against the run, allowing 122.8 yards per game. The Broncos has allowed 11 rushing touchdowns. 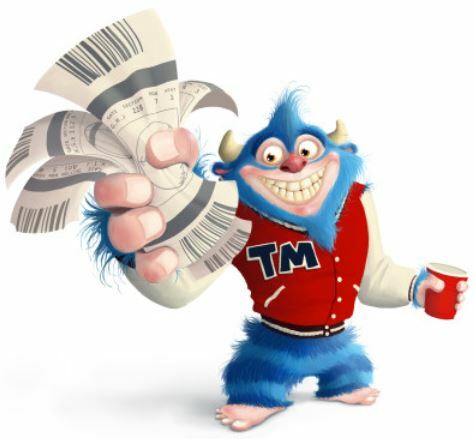 The Titans has 12 rushing touchdowns this season, and Murray has been responsible for 8 of them. The Denver defense has 36 sacks (the most in the league), 12 interceptions, 9 forced fumbles and 4 defensive touchdowns. Outside linebacker, Von Miller, leads the league in sacks, 12.5. 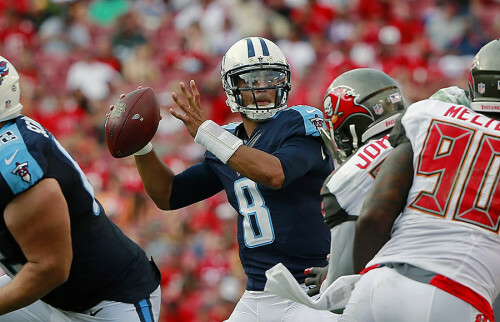 Mariota has had 25 touchdowns, 8 interceptions and has been sacked 18 times. Mariota will need to protect the ball and avoid pressure from the Broncos defense. The Titans defense will need to prevent the Broncos from scoring. The Broncos have had a hard time with the run game since the injury to running back, C.J. Anderson. They are hopeful with the new addition to the team this Sunday against the Titans. In @JForsett, we've added a rare commodity to the offensive backfield. As unpredictable as Broncos quarterback, Trevor Siemian, might have been this season, he’s better than rookie back-up, Paxton Lynch. The Titans defense are 26th in defending the pass, allowing 270.3 yards per game, and 7th in defending the run, allowing 92.3 yards per game. DeMarco Murray has a touchdown. Marcus Mariota has a rushing touchdown. Emmanuel Sanders has a touchdown. There’s no respect for the Carolina Panthers. The Panthers are sitting in last place in the NFC South, having lost 3 out of their last 4 games, including a devastating week 13 loss to the Seattle Seahawks, 7-40. They’ve slipped a long way from last year’s Super Bowl appearance. I said it before and I’ll say it again, the San Diego Chargers are not a bad team. They’ve just been having some bad luck. The Chargers lost week 13 to the Tampa Bay Buccaneers and will travel to the Bank of America Stadium to face the struggling Panthers. At this point in the season, with these two teams, it’s not a matter of which team is better or worse, it’s a matter of who can close games. Why the San Diego Chargers can win. Melvin Gordon — The Chargers running back, Gordon, has been the backbone of this team with 992 rushing yards (the 4th most rushing yards in the league) and 10 touchdowns. Gordon will be facing the Panthers defense, who’s 8th in defending against the run, allowing 92.8 yards per game. 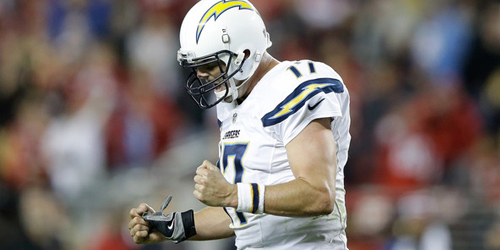 The Chargers were able to defeat the Tennessee Titans, who are 7th in defending the run. Philip Rivers — The Chargers quarterback, Philip Rivers, might be a pouty frat boy, but he’s thrown for 3353 passing yards and 25 touchdowns. Unfortunately, Rivers has also been sacked 28 times and has 14 interceptions. The key to this game will be the ability for the Chargers offensive line to protect Rivers, as well as creating opportunities for Melvin Gordon. The Panthers defense has 34 sacks this season, the second most after the Denver Broncos. 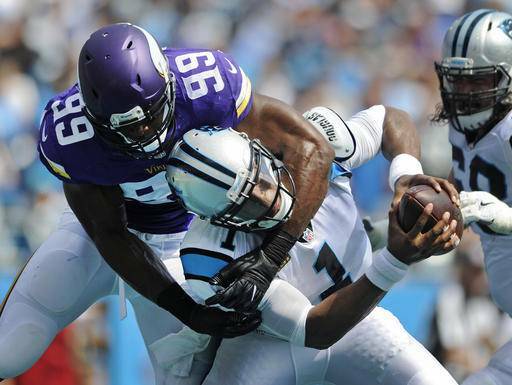 Luckily, the Panthers defense are 30th in defending against the pass, 276.8 yards per game. The Chargers receivers will need to make some big plays if they want to defeat the Panthers on Sunday. The Chargers defense — The Chargers defense are 3rd in defending against the run, 89.1 yards per game, but 27th in defending against the pass, 271 yards per game. The Chargers defense have 21 sacks (28th), 15 interceptions (1st), 14 forced fumbles and 4 defensive touchdowns. We’ve seen it done, the Chargers had the ability to defeat the Denver Broncos and the Atlanta Falcons, so there’s no reason they can’t defeat the Carolina Panthers in week 14. 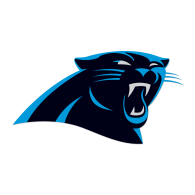 The Carolina Panthers in turmoil — It’s been one thing after another with the Panthers this season from injury to disciplinary reasons, but no matter how you put it, the Panthers are a mess. Newton has been far from the MVP of last season. And, the team, as a whole, seems to be disjointed. In week 13, Cam Newton was benched for the opening series for violating the teams travel policy by not wearing a tie on the flight to Seattle. It caused more of a stir than it should have, but as head coach Ron Rivera put it…rules are rules. And it’s this mindset that is causing the Panthers to go down in flames. The Panthers came into the season with high-expectation, but with one loss after another, the Panthers frustrations and lack of maturity is more than likely causing their failing season. Cam Newton has thrown for 2614 passing yards, 14 touchdowns, 286 rushing yards and 5 rushing touchdowns. He’s also had 8 interceptions and sacked 27 times. A little Newton frustration can affect this Panthers offense to a lose games and the Chargers need to get pressure to Newton early and often. Antonio Gates has a touchdown. Kelvin Benjamin has a touchdown. I’m picking the upset…The San Diego Chargers win.